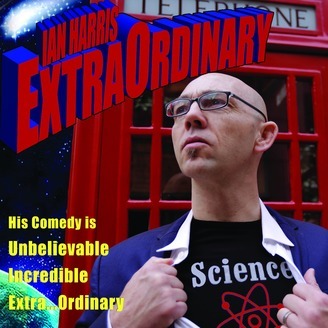 A fascinating and funny mix of spot-on impressions and clever, cutting-edge comedy, ExtraOrdinary is hailed as Ian's best work to date. His keen grasp of science, evidenced by his satirical, skeptical take on everything from religion to global warming-deniers and beyond. 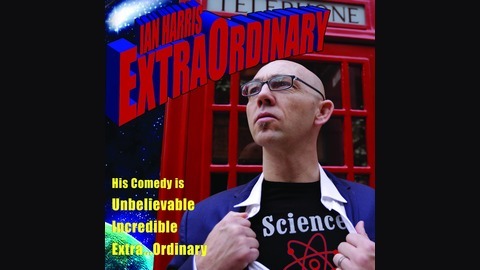 Though his cerebral and often risky style of comedy has earned him comparisons to favorite thinking-man's comics like Lenny Bruce, Bill Maher and George Carlin, Ian uses his unique point of view and an impressive array of comedic talents to deliver a thought provoking style of stand-up all his own. Featuring David Smalley, host of Dogma Debate!